Handcrafted Log Homes has one or two log builder trainee positions open at their log yard here in Box Elder, SD. They are looking for someone who is interested in log construction work as a lifetime skill. Wages start at $10 per hour and after 4 weeks of employment that wage be revised based progress. Carpentry and leadership skills are desired. There are no other benefits available at this time. If you are interested, please email your resume to Kaz Kunishige at kaz@handcraftedlogs.com. Envoy Air has positions all across the US in the following fields: Maintenance, Customer Service, Corporate, Pilots, Flight Attendants. Please go to https://www.envoyair.com/careers/ for all available positions. Envoy Air Inc. is a wholly owned subsidiary of American Airlines Group (NASDAQ: AAL) operating more than 150 aircraft on nearly 900 daily flights to more than 150 destinations. The company’s more than 14,000 employees provide regional flight service to American Airlines under the American Eagle brand and livery and ground handling services for many American flights. The company was founded in 1998 as American Eagle Airlines, Inc. following the merger of several smaller regional carriers to create one of the largest regional airlines in the world. Envoy is headquartered in Irving, Texas with large operations in American’s hubs, including Dallas/Fort Worth, Chicago, Miami, New York, and Los Angeles. To apply online, and view details about all of Halliburton’s employment opportunities, visit their careers page at: https://jobs.halliburton.com/. Good Samaritan Society New Underwood is currently seeking a Cook to prepare and serve delicious meals to our Residents. Working hours include 4-8:30 pm or 6:30 am – 2:30 pm and requires every other weekend. Starting wages range from $11.50 to $12.39, depending on experience. No experience needed. Must be at least 18 years old. Good Samaritan Society New Underwood provides loving long-term care, memory care, post-acute rehabilitation services, and hospice care to 39 Residents in a Christian environment. New Underwood is a small community 23 miles East of Rapid City, South Dakota on I-90. 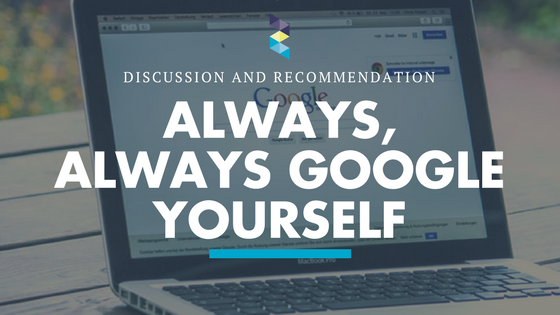 Posted: January 12, 2018 | Author: ellsworthafrc | Filed under: Tips | Comments Off on Have you googled yourself recently? Be sure to clean up your online identity to prevent employers from forming anything less than a positive first impression!